Cryptococcus neoformans was instilled intranasally into mice which were periodically sacrificed to determine the course of infection. Cryptococci persisted within the nasal passages throughout the 90 day study. Extranasal dissemination began 14–28 days after instillation and was still demonstrable 90 days post-exposure. 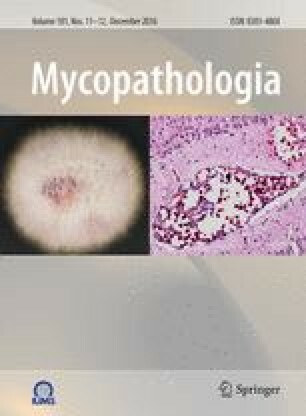 Ten percent mortality was observed in mice receiving 106 cryptococci, while no mortality was observed in mice exposed to 103 or 104 cryptococci. Our research suggests that nasal colonization with C. neoformans can precede pulmonary and systemic cryptococcosis by weeks or months.